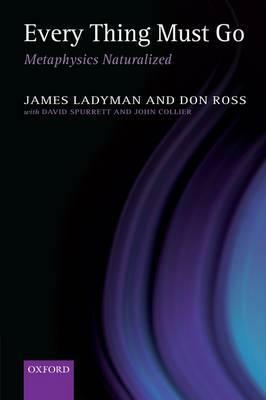 Throughout last semester several students at CUNY’s Graduate Center, a colleague, and I have spent some time navigating the complexities of James Ladyman and Don Ross’s Every Thing Must Go: Metaphysics Naturalized (which also contains essays co-authored by David Spurrett and John Collier). The book is not for the faint of heart, but it has given me much food for thought, which Julia and I will soon explore further in a forthcoming episode of the Rationally Speaking podcast featuring Ladyman as a guest (I should also add that James contributed to an edited collection on the philosophy of pseudoscience that I just finished putting together with the help of Maarten Boudry which will be published next year by the University of Chicago Press). I must admit that the title of the first chapter — “In defense of scientism” — did not dispose me well toward the book. I think the term scientism ought to be reserved for what it has traditionally indicated, an unwarranted over reliance on science (yes, there is such a thing), or the thoughtless application of science where it doesn’t belong (ditto), and it pisses me off to no end when philosophers actually use it as a positive term (as, most egregiously, in Alex Rosenberg’s so-called Atheist’s Guide to Reality). However, I got past the initial annoyance, and started to appreciate the (complex) arguments made by Ladyman, Ross and their occasional co-writers. Indeed, by the end of the book it turns out that Every Thing Must Go is, among other things, a pretty good argument against the sort of scientism that worries me, and in particular against the nowadays very popular physical reductionism espoused by the likes of Rosenberg, Harris & co. But I’m getting ahead of myself. Before we get to the heart of the matter there are two background issues within which Everything Must Go (henceforth ETMG) needs to be understood: one is the post-positivism return of a metaphysics increasingly decoupled from physics (and science more broadly), the other is the debate among philosophers of science concerning realism and anti-realism when it comes to interpreting scientific theorizing. Ouch. During the 20th century, a frontal attack on metaphysics was carried out by the logical positivists, a movement linked to the so-called Vienna Circle of thinkers (most prominently featuring Rudolf Carnap). Famously, positivists thought that metaphysics isn’t even wrong, it’s just meaningless, in part because it fails their famous verifiability criterion, the idea that a statement is meaningful only if there is a way to determine its truth. While it is often said that logical positivism fell victim of its own verifiability criterion (which is not itself verifiable), that’s a bit too simplistic. What happened was that a series of thoughtful and in-depth critiques (by the likes, for instance, of Karl Popper, Hilary Putnam, Willard Van Orman Quine and Thomas Kuhn) increasingly and convincingly showed the inadequacy of the positivist stance. Background, 2: realism vs anti-realism in philosophy of science. The second bit of background necessary to appreciate ETMG has to do with a fascinating debate that has unfolded in philosophy of science over the last several years, between so-called realists and anti-realists (more recently referred to, somewhat confusingly, as empiricists). To put it very briefly, a realist is someone who thinks that scientific theories aim at describing the world as it is (of course, within the limits of human epistemic access to reality), while an anti-realist is someone who takes scientific theories to aim at empirical adequacy, not truth. So, for instance, for a realist there truly are electrons out there, while for an anti-realist “electrons” are a convenient theoretical construct to make sense of certain kinds of data from fundamental physics, but the term need not refer to actual “particles.” It goes without saying that most scientists are realists, but not all. Interestingly, some physicists working on quantum mechanics belong to what is informally known as the “shut up and calculate” school, which eschews “interpretations” of quantum mechanics in favor of a pragmatic deployment of the theory to solve computational problems. There are several interesting arguments for and against both positions, so much so that I have often found myself standing on neutral ground in this regard, until a third option gradually shaped up, an option that we will take up next time, because it is the one actually defended by Ladyman and Ross, and which provides much of the philosophical structure in ETMG. Perhaps the two best arguments in favor of anti-realism are the underdetermination of theory by the data and the pessimistic meta-induction. The first one says that the empirical evidence available at any given time will always under-determine (i.e., will not be able to completely discriminate between) alternative theories. Perhaps the best way to picture this is to plot some points on a standard X-Y axis and then fit a curve to them. If you think of the points as data and of the curve as the theory explaining them, you will immediately realize that there is literally an infinite number of curves that can equally well fit the data: the points under-determine the curve. But, you say, surely by adding new data I will eliminate many of those other curves from competition, thus approaching the “true” function. You will, but the new set of data is still going to be fit adequately by an infinity of “theories,” and so on. Okay, the next line of defense for the realist is to do what scientists often do and invoke criteria like simplicity and elegance to choose among the available curves (some of which will be horribly complicated). Yes, we can go that route, but now we are introducing extra-empirical, indeed downright aesthetic, criteria. Which is fine, but not something you can justify on scientific grounds (pragmatic considerations do help — but that is the point of the anti-realist: that science is after what works, not what is true!). Incidentally, the current debate over string theory — which comes with a “landscape” of 10 to the 500 different configurations! — may be a spectacular confirmation of underdetermination. The second argument in favor of anti-realism is the pessimistic meta-induction. This is the idea that all past scientific theories have eventually been discarded as wrong or flawed in some significant way. Applying inductive reasoning to future scientific theories based on such past experience, it seems that there is no basis on which to argue that currently accepted theories have any better chance of being true. * The standard counter to this objection is that successive scientific theories approximate the truth better and better, but even this faces problems: first, without access to a “God’s eye view” of Truth, how can we tell? Second, there are pretty convincing examples of theories that represent radical rethinking on the part of scientists, not just incremental improvements (think of Ptolemy to Copernicus, of course, but also of the conception of space and time in Newton vs Einstein). The best argument in favor of scientific realism is known as the “no miracles” argument, according to which it would be nothing short of miraculous if scientific theories did not track the world as it actually is, however imperfectly, and still managed to return such impressive payoffs, like, you know, the ability to actually send a space probe to Mars. Even so, the anti-realist can reply, we know of scientific theories that are wrong in a deep sense and yet manage to be empirically adequate, Newtonian mechanics perhaps being the prime example. The above is just a very brief sketch of the debate between realism and anti-realism in philosophy of science, as people on both sides have come up with a fascinating series of moves and counter-moves in logical space throughout the past decades. A good summary of it can be found in Ladyman’s textbook in philosophy of science, for readers interested in digging in a little deeper. All in all I do agree with Ladyman that the realist position seems to have the upper hand, but only slightly so, and taking seriously the anti-realists provides a refreshing bath in epistemic humility. I liked your comments on scientism. There isn't a need to turn the word into a positive meaning when its original, negative meaning designates a real phenomenon - regardless of however much one wants to ignore said phenomenon. Your simple breakdown and summary of the realist and anti-realist positions have tentatively convinced me of anti-realism, Massimo. I'm wondering why you think realism edges its opponent. It also seems to me that if anti-realism were true, there wouldn't be a need for metaphysics to "take on board all of science" - whatever that means. Science can inform metaphysics and vice-versa, but the two are not the same discipline. So, for example, I think the debate over universals can go on quite independent of science, for the existence or nonexistence of universals depends on reasoning and argument, not how many earth-like planets there are in the universe or why the population of amphibians is drastically declining. Dawkins, I think, has proved himself on many an occasion to be ignorant of many philosophical and theoretical problems with evolution. His reaction to people who point them out is to label his them crypto-theists or the worst kind of philosopher/theologian (who are often conflated in his view), even if said opponents are fellow evolution-embracing atheists. Yes, but I'm with Ladyman when he says that metaphysics simply cannot ignore physics. Human minds do not have the capacity to discover things about the universe by just thinking about it (except for mathematical structures, of course), so metaphysicians better take physics very seriously. "The best argument in favor of scientific realism is known as the “no miracles” argument, according to which it would be nothing short of miraculous if scientific theories did not track the world as it actually is, however imperfectly[...]"
But as you said, without a God's eye view, you have no way of knowing whether or not science tracks reality accurately. The realist position seems superfluous. The probe going to Mars is explicable under both models, but realism has the added claim that the theories behind the probe's going to Mars accurately reflect reality. Maybe they do, but I don't see how that could be absolutely known or how it has any bearing on our ability to indeed send the probe to Mars. At any rate, I shall await part two! "Yes, but I'm with Ladyman when he says that metaphysics simply cannot ignore physics [...] so metaphysicians better take physics very seriously." "Human minds do not have the capacity to discover things about the universe by just thinking about it (except for mathematical structures, of course)"
Re: "But as you said, without a God's eye view, you have no way of knowing whether or not science tracks reality accurately." A realist need not have a way of "knowing" that our best scientific theories model the world accurately and reliably in order first to advance the 'no miracle' argument. In fact, as it happens, if the realist did have a way of showing that our best scientific theories modeled the world accurately, she would have no need of the 'no miracles' argument. re: "A curious statement. How does one discover anything if not by making use of his mental capacity?" The operative phrase in Massimo's sentence is "just thinking about". Speculative metaphysicians from time immemorial often either explicitly state or enthymematicaly imply that via pure reason alone one could gather knowledge of the physical world (see, for instance, Kant's arguments for analytic a posteriori truths [e.g. the truths of Euclidean geometry]). It is against this that the empiricist tradition in philosophy has pushed, starting before Hume with Locke, and extending from Mill, the logical positivists, modern empiricists thinkers, and so on (this list is far from complete). Re: "Not all claims, moreover, seem to require empirical verification." Mind you the logical positivists did not adhere to base "scientism" as often incorrectly supposed. They held that logical analysis -- in the form of mathematics and formal logic (to included deductive & inductive logic) -- were necessary for formulating hypotheses, deducing testability criteria, confirmation and refutation, and situating observational and experimental results within a larger theoretical framework. Let me press you a bit here. What, exactly, does the following mean: "Metaphysics, on the other hand, seeks to understand what the nature of the world is." I ask because I am not entirely sure you have said anything which is coherent. "In fact, as it happens, if the realist did have a way of showing that our best scientific theories modeled the world accurately, she would have no need of the 'no miracles' argument." If the realist were correct, shouldn't we already know he is correct? Shouldn't scientific theories also cease to change? "The operative phrase in Massimo's sentence is "just thinking about". Speculative metaphysicians from time immemorial often either explicitly state or enthymematicaly imply that via pure reason alone one could gather knowledge of the physical world"
It seems to me that in many cases these speculative metaphysicians were quite successful at gathering knowledge about the physical world by "just thinking about" it. To use another example from Kant, is it not true that nebular theory was hatched by him out of pure speculation? Or what about the ancient Greek thinker Aristarchus, who posited heliocentrism long before Copernicus? How about the Greek atomists? It seems to me that it is quite possible to discover truths about the physical world by "just thinking about" it, though it is certainly much harder to do so than by employing empirical (scientific) analyses. "What, exactly, does the following mean: "Metaphysics, on the other hand, seeks to understand what the nature of the world is." I ask because I am not entirely sure you have said anything which is coherent." Massimo must also be incoherent, then: "The scope of metaphysics is nothing less than an understanding of the nature of the world." But I shall enumerate my answer. Metaphysics attempts to derive knowledge of the world as it is in-itself, a part from experience; it seeks to know its nature, not its mechanisms. It goes, as per the name, beyond physics; beyond the physical world, yet not necessarily transcending it, as that would depend on the metaphysical theory in question. Again, metaphysics deals with non-representational knowledge. To ask what the nature of the world is is to ask what lies behind the world as appearance. The materialist, to continue my original example, would maintain material substance as that which is represented in appearance. There are, of course, other ideas, and one need only glance at the history of philosophy to find out what they are. Re: "If the realist were correct, shouldn't we already know he is correct? Re: "Shouldn't scientific theories also cease to change?" "Metaphysics attempts to derive knowledge of the world as it is in-itself, a part from experience; it seeks to know its nature, not its mechanisms." & "To ask what the nature of the world is is to ask what lies behind the world as appearance." On one construal of your remarks, you do not clarify & instead explain the obscure with the obscure; on another, you frame the matter in an untoward way. To the former, I don't know what "as the world is" or "what lies behind appearances" means, and the latter does not seem to explain the former in any sense of that term I am aware of. However, if instead you mean "what lies behind appearances" to imply some scientific sense -- e.g. the atomic composition of matter, or, more generally, the standard model of particle physics -- you are no longer doing speculative metaphysics. At this level, mind you, I am **not** doing metaphysics; I am denying the philosophical utility of such practices and instead keeping well within epistemology. Re: "To use another example from Kant, is it not true that nebular theory was hatched by him out of pure speculation?" No. Kant was well acquainted with then current science and theorized within that framework. Likewise for Aristarchus, who gave empirical and theoretical reasons why a heliocentric model of the heavens was superior. As for the Greek atomists, I see no reason why we should consider any identity relationship between their hypothesized 'atoms' and the atoms hypothesized by Boltzmann and other late 19th century proponents of the atomic theory of matter. In other words, there is no connection between their philosophical musings and our current atomic theory of matter. Eamon, see my latest post about my examples, though I shall make one comment now. I admit my definition of metaphysics is obscure to someone not acquainted with the philosophical background I'm coming from (that being Kant and Schopenhauer) but its enumeration would require explicating that background to the degree that "non-representational knowledge" would make sense, a long, difficult task not suited for either myself or this comment section, I think. I am acquainted with both Kant and Schopenhauer. My point however is that speculative metaphysics is an empty intellectual activity. Despite not seeming to like obscurity, I'm not sure what you mean by "speculative metaphysics." Is it different from just metaphysics? I also don't know what you mean by "empty intellectual activity." Are you with Carnap in rejecting the possibility of metaphysics, whatever the precise definition, outright? Or, like Wittgenstein, do you simply hold that one ought to remain silent when it comes to metaphysical speculation? I don't understand why people are saying that the original meaning of "scientism" is negative. The original and literal meaning is "science + belief", or "some belief about science". The first person who used the word may very well have felt that those who have overly positive beliefs about science are fools, but such personal feelings do not dictate the meaning of the word. Realism v Anti-realism, Nature v Nurture -- these type of persistent philosophical debates can seem like arguments between two untenable extremes. But in fact they are arguments over incredibly important orientations or attitudes. Epistemic humility --"we all know some of our views are wrong, but we don't know which ones" -- makes these orientations all the more important, because the orientation will make you more susceptible to a certain type of mistake. So the realist is more likely prone to dismiss the importance of culture and psychology, while the anti-realist is prone to impose his or her will on the world. That is, after all, what the anti-realist is secretly after, in my humble unsupported character assassination of a world-view I despise. I agree with you Massimo that realism plus humility is the most likely correct attitude. So when we learn things like Information Theory, we can go, as Dennett would have Mary say upon leaving her room, "Ah, of course information is part of matter, how could it be otherwise? After all, we see information in the world. How could it not be a property of it?" Brains are real, minds are real, information is real. They are all made out of stuff. True small, incredibly small stuff behaves differently than the emergent systems of stuff out of which we are composed, but that doesn't mean our every day understanding of reality isn't actual and legitimate (in context!). The sun, does, go around the Earth, if you want the best heuristic for terrestrial problems. In short, we are part of a larger world. We are temporary and local beings, It would be nice if we could someday be immortal and omniscient, but to assume we are now would lead to dangerous mistakes. Until then, we must assume that our data is real, that our models are as real as we can get, we must be humble and parsimonious, as we continue down a path that, so far, has paid off. It's difficult to deal with that quote from Hume briefly, so I will just say its a massive load. The issue is what "Metaphysics" might mean if we define it as "First Principles", which is how it should be defined. It can certainly have direct relation to all things physical and measureable if it a universal self-consistent set of definitions for all of science, for example. It gets back to satisfaction in reasoning, which includes not only the safety of Hume's status quo, but also the possibilities beyond it. This includes possibilities as conceptual analyses beyond his entire purview, to debunk the value of his entire point of view (paradigm)and its apparently reasonable bases, but I'm not quite that skeptical. Important in any analysis are Popper & Kuhn. That will do for me from those you mention, although the others are no doubt noteworthy. I'm not an expert on 'isms' and 'ists', just facts and logic for me where possible, but thanks for putting them in some context. I would say Popper's falsification is preferable to Kuhn's confirmation (keeping and open mind until closed, for creativity in hypothesizing, rather than confirming a change to the status quo). The point though, is that wide points of contact with reasonably established diverse realities is essential to Popper, and that enables Kuhn's paradigms to emerge. Even though Popper was opposed to paradigms, his openness may allow entire systems of thought to develop based on definitonal as well as experimental ideas - the key is satisfaction in reasoning within the paradigm and about the paradigm itself. Paradigms both facilitate smooth development within them, and isolate other fields, or other perspectives in the same field. I would say they are a reality, and ultimately they might only be broken and unified by universals: by Metaphysics that stands no matter what we throw at it (but never "the truth" as we are limited to our own ability to construct our awareness and we are not god(s); and progress is all, even if we can't). Popper serves Metaphysics by allowing creativity as long as it corresponds to many realities (rather than 'status quo' incremental change), and Kuhn sets the challenge to overcome the additional 'reality' that there are paradigms. The "First Principles" would be a paradigm there to be overthrown if reasonable to do so. "...now we are introducing extra-empirical, indeed downright aesthetic, criteria. Which is fine, but not something you can justify on scientific grounds..."
Why would someone care about not being able to justify something on scientific grounds? Under any understanding a person has of science, their justification of using science, whatever that is, is on unscientific grounds. So why not ask directly if the extra-empirical criteria are justifiable under whatever the justification was for using science in the first place? So now I have read backgorund 2, which is also a very amusing problem and well explained to give me some idea of it. While our awareness is our own construct and limited to what we can in fact construct (quite apart from what is out there), we need to be careful when applying universals to particulars. Though Plato irks me with "knowledge is justified true belief" his core distinction between things and their universal qualities might help explain the division here. Realists work from particulars and find universal concepts applying to them, while anti-realists work from universal concepts that might apply to real particulars. Once again its a matter of levels of satisfaction in reasoning, particularly when the universals are unscientific (universal God) or lower ranking ones. However, the crucial point is that we cannot take our concepts into a separate universal sphere as does Plato. Thingness cannot be a thing in any realm except in application to particulars. We vitally need the explanations provided by concepts, but they must apply to realities and not have a life of their own. The thing identified as an electron by the realist is conceptually explained by the anti-realist, and grounded in that reality, however one may wish to explain it (basically by motion, position, tension, rotation, etc, or in more bizarre ways). The grounding is not always secure. Q. M. & Strings use concepts instead of particulars at and beyond the limits of observation. Their presumably self-consistent conceptual constructs are as open to analysis as any observation, and ultimately will need to sufficiently explain realities as realists discover and identify them. A conceptualist might one day find the "First Principles" that satisfactorily apply to all accepted realities. The missing piece here is the human construct, based on neuronal identification of what is real from the gross anatomy in the world, and concepts about an identified 'thing' to give it meaning as 'something'. This gets to the root meaning of realities & concepts. I explain it in my free book http://home.iprimus.com.au/marcus60/1.pdf the book. I'm waiting for the third option, but in the mean time, my (naive) view is that the whole point of science is to describe the world. Science and metaphysics (I gather for most people) are premised on the possibility that realism is a viable perspective. The extent to which science has succeeded in describing the world may be debated. It may also be debated whether in certain cases (famously, quantum mechanics) we have not been able to make intuitive sense of the picture of the world that science paints. But the anti-realist alternative seems to lead to a brain-in-a-vat position--which no one really believes no matter how good a case one can make for it. Even if you are correct in that for most people, to include most scientists, the goal of science is to describe the world, this does not equate into an argument for realism. You would have to show that the cumulative nature of scientific knowledge is unlikely given an anti-realist conception of science, or something to that effect. The arguments for anti-realism, as presented, have flaws. Simplicity in scientific theories is not an aesthetic consideration, it's a mathematical one. Isaac Asimov had something to say about the pessimistic meta-induction: "When people thought the earth was flat, they were wrong. When people thought the earth was spherical, they were wrong. But if you think that thinking the earth is spherical is just as wrong as thinking the earth is flat, then your view is wronger than both of them put together." The usefulness of Newtonian mechanics does not rebut the "no miracles" argument, because Newtonian mechanics is a limiting case of both quantum mechanics and relativity. It's trivially true that an approximation of a better theory will give approximately correct results. I think you are right that simplicity is not an aesthetic characteristic; Massimo should have instead used something like 'elegance' to describe what he (probably) had in mind. And, in probabilistic terms, I agree that 'simplicity' is a mathematical characteristic, which I think entails, when 'simplicity' considerations are applied to formal theory selection, that theories admit of a truth value. However, only instrumentalists (a flavor of anti-realism) are committed to the view that theories admit of no truth value whatsoever but rather that theories are, well, instruments via which past observations are implied & future observations entailed. Anti-realists of other sorts (structural empiricists, constructive empiricists, and even Peircean pragmaticists) can (and often do) admit that scientific theories can be either true, false, or approximately true / false. On this point, see Newton da Costa and Steven French's Science and Partial Truth: A Unitary Approach to Models and Scientific Reasoning. Only these anti-realists view science as more properly about empirical adequacy, not 'obtaining truth'. For these anti-realists (as opposed to instrumentalists) truth is (though needn't be) a by-product of our best organized empirical inquiries into the physical world. Lastly, an anti-realist, whether of the instrumentalist variety or not, can employ 'simplicity' on non-aesthetic grounds: A simpler theory is one which is easier to (dis)confirm in much the same way an engine with fewer parts is easier to test & troubleshoot. An ancillary benefit to simpler hypotheses is that by definition they allow us to do as much with less, which is to say they allow us to economize our theoretical and experimental efforts, thus saving time & resources. Simplicity in scientific theories that use mathematical descriptions is by definition mathematical simplicity. The issue is whether mathematical simplicity can have better definitional bases that reshape the application of existing math. Mathematics is a necessary type of satisfaction, but so are the concepts such as space, time, cause, effect, motion, position, tension, rotation, applicable to realities (to name a few). These might be reordered for a more satisfying view of the mathematics that also applies to the realities (a context for them). I see no problem with calling concepts 'aesthetically appealing', but 'rationally satisfying' would be better, particulary as they should be supported by some refined mathematics. The piece identifies Newton as an example of a reasonably intact rubric that nevertheless fits within a greater one, as an example of how concepts (& math) can remain to some extent useful. They have some points of contact with Einstein (what are space, time, motion, position, etc, under each, given that they use concepts that have those same words?). They have overlapping concepts, and so, conceptually, there is work to be done, as well as mathematical confirmations. They should go nicely together so that variations between concepts will have variations in use of maths. I see no problem with the comments about Newton. Actually, Newton doesn't fit within, it overlaps with Einstein, but it can be used nevertheless 'within' Einstein's universe by making the necessary mathematical & conceptual allowances. I think the model-dependent realism Hawking talked about in The Grand Design makes most of this stuff totally masturbatory. There is no theory-independent model of reality. If we don't learn things by observation, how do we know them? So it seems to me that all the fussing over anti-realism vs. realism, positivism, scientism, and all that other stuff is really an attempt to posit a theory of reality independent of observation. But you can't do that. At best, you'll get yourself a nice tautology. Model-dependent realism is self-evident. I don't think so. One could argue that the point of science is to allows us to navigate and control our environment (as Bacon did), which is compatible with anti-realism. As for metaphysics, I don't see why it necessarily depends on either approach. There is nothing in math that says that the physical world has to be simple. Indeed, even the history of 20th century physics shows that simpler theories have repeatedly being discarded in favor of more complex ones (check Lee Smolin's The Trouble with Physics). With all due respect to Asimov, I don't think he was a good philosopher of science. That quote is missing the point, partly because the quasi-sphericity of the earth isn't a theory anymore, it's an observation. The issue becomes interesting when it comes to theories about unobservable, like electrons and strings. That's incorrect in one important respect: while it is true that the equations of N-mechanics can be derived from those of relativity (not those of q.m., as far as I know) as a limit case, Newton's description of space-time is fundamentally incompatible with Einstein's. I don't think so. There are plenty of logical and mathematical truths that are entirely independent of, and not derived from, reality. Indeed, most advanced math and logic are of that type. Nothing of the sort, actually. No, that would assume perfect human epistemic access to the world, which we obviously don't have. No, Kant had access to the best astronomy of his time. They did so on the basis of empirical observations. Massimo, if you meant no one could discover anything about the physical world just by thinking about it in a literal sense (as in, "I think the moon is made of cheese, therefore it is"), then I cede to you. But I thought you were implying that no claim can be true unless substantially empirically verified - to the extent nebular theory is, for example. My examples only meant to show that by the use of mere reason and not a lot of empirical data to go on, one can in retrospect deduce information about the physical world. yes I do think you are making sense. But - as you note - even string theory does in fact build on a shitload of empirical data. So, yes, my assertion concerned those metaphysicians (trust me, there are plenty) who think that they can uncover new *facts* about the nature of the world by parsing the meaning of words. The latter activity is, I think, important, but it doesn't yield what they think it does. I don't think Kevin was arguing that nature is or must be "simple" (whatever "simple" means here). I read to him to be saying nothing more than that a conjunction is less probable than either of its conjuncts (unless both conjuncts deductively entail one another) and that insofar as a theory or hypothesis contains a series of conjunctions, the less conjunctions the more probable, ceteris paribus. Re: "... but observations themselves are theory-dependent, not just vice versa, which complicates the picture a bit." Very true, and this is more problematical for the realist than the anti-realist, I think. Regarding Russ Abbott's 'brain in a vat' comment, maybe he's concerned about the consequences of some of the arguments that might be used in support of scientific antirealism, like the argument from underdetermination of the theory by the data that you presented above which might be mirrored by a more general argument, not limited to scientific theories. 1. The Moon Landing happened. For example, someone might posit a conspiracy theory that is compatible with the data. 2. That the planet Gliese 581d actually exists. Someone might say that something is wrong with our instruments and/or our theories (e.g., some kind of unknown celestial phenomenon that causes what we interpret as the effect of a planet), and/or even a powerful entity is deceiving us for mysterious reasons, and so on, and they seem compatible with the data. 3. That a defendant (any defendant) is guilty as charged. Even if a jury assesses that his guilt has been established beyond a reasonable doubt, the evidence is compatible with, say, his being framed by a massive conspiracy, or by some vastly powerful beings. 4. That Sai Baba of Shirdi didn't appear to some of his followers a few days after his death. Someone might say he did, and the data does not seem to be incompatible with that. 5. That we're not in something like the Matrix. It seems that no amount of data is incompatible with something like that, provided that the Matrix is sufficiently flawless, or entirely so. And so on. Maybe his concern is something along those lines. It is no surprise that a scientist not familiar with the philosophical literature might make the sort of claim Dawkins made. What is a surprise is the degree of self-unawareness of a scientist who tries to write philosophy like he does. well, perhaps you can't see clearly enough... I don't know of any serious non-naturalist philosophers (except for theologians, which are not philosophers). And please keep in mind that naturalism and physicalism are not the same thing. Well, if you don't subscribe to materialism, then you are tacitly expressing a belief in an immaterial reality (e.g. dualism or idealism). Then this would imply that your "naturalism" is compatible with dualism or idealism. [this was posted by Eamon, it got accidentally deleted, sorry! This is not true at all. The naturalist includes into her ontology all those things which are justified by our best scientific methods, to include 'electrons', 'gravitational fields', 'species', 'genes', 'numbers', 'functions', 'inferences', etc. The former we call physical objects almost as a courtesy and include into our ontology because of their utility in economizing our models (or, if you're a realist, because they are the result of some inference to the best explanation) and the latter we include into our ontology because scientific practice itself seems to necessitate it -- we can't do science without them. The physicalist, on the other hand, includes countenances as 'real' only those things which are spatially-temporally extended / causally interactive. what Eamon and I are arguing is simply that it is reasonable to have a pluralist ontology, since physical objects do not exhaust the realm of what exists, in any meaningful sense of "exist." Wait until part two for a significant elaboration of what I mean. Oh, by the way, I don't find mathematical Platonism nonsensical at all (which doesn't mean that I am a fervent supporter of it). The bottom line is that your position implies a belief in the existence of an immaterial (or nonphysical) reality. Mathematical abstractions exists only in a mind that abstracts. That's a loaded way to put it. As I said, my position simply is more ontically rich that straightforward materialism. And more in accord with science too. My assessment still stands: Your position implies a belief in the existence of an immaterial (or nonphysical) reality. You're the one who is making the claim for the ontological reality of mathematical "objects." Therefore, the onus is upon you to furnish us with objective evidence for the existence of these mathematical objects. Your assessment is in one sense stating the obvious, in another entirely inconsequential, since we are talking about a pretty straightforward ontology here, no Cartesian dualism, and nothing mystical-supernatural. What is your point? I am not a mathematical realist (I find the view deeply problematic) but I don't see how it is an absurd position. If you want to address the arguments for mathematical platonism, review the Stanford Encyclopedia of Philosophy article and investigate some of the works listed in the reference list. I apologize if I offend you here, but I really don't think you have engaged ANY of the relevant literature on the philosophy of mathematics (or for that matter in the philosophy of science). I should add that your view on mathematical realism has been advanced before (by J.S. Mill, e.g.) by quite a few thinkers, but their arguments never stood up to scrutiny. For a good work of assorted essays on the philosophy of mathematics, see Paul Benacerraf and Hilary Putnam (eds.) (1983) Philosophy of Mathematics : Selected Readings 2nd edition, Cambridge University Press: New York. Agreed. However, the obvious needs to be stated because some here would obscure the issue. The point is that you subscribe to a form of dualism. You believe in BOTH a PHYSICAL reality and a NONPHYSICAL reality. (That you can't bring yourself to acknowledge this fact doesn't change it.) Moreover, your position does smack of something mystical; you believe that the universe is populated with immaterial mathematical "objects." I would suggest that it is absurd for the very reasons why you find it deeply problematic. I don't see any argument here for mathematical platonism. Correction. It is NOT my view. I do not subscribe to mathematical realism. I hold that mathematical abstractions cannot exist independently of a mind that abstracts. And no one here has presented an intelligible argument that would sway me to believe otherwise. I don't know of any serious non-naturalist philosophers (except for theologians, which are not philosophers). And please keep in mind that naturalism and physicalism are not the same thing. Is it that most philosophers just aren't serious? Apologies for the confusion. When I said "your view on mathematical realism" I meant your view against it, not that you were a mathematical realist. Massimo, in your first reply to comments above you wrote that "[...] I'm with Ladyman when he says that metaphysics simply cannot ignore physics. Human minds do not have the capacity to discover things about the universe by just thinking about it (except for mathematical structures, of course), so metaphysicians better take physics very seriously." I'm curious about your qualification "except for mathematical structures": what is it about math that makes "just thinking about it" an eligible option when that's apparently out of the question for every other domain? One obvious worry for that kind of discriminatory policy would be that the properties that make math suitable for "just thinking about it" are also shared by certain other domains of inquiry, or parts of these domains. What about, for example, modal structures? Aren't there cases when we can "just think about" these and arrive at justified beliefs? After all, a lot (some might say all?) of mathematics is involved in charting certain aspects of what is possible and what is necessary (and what is compossible with what)? And, of course, a lot of what philosophers (in metaphysics and beyond) are doing is concerned with the modal structure of certain domains as well, so the worry (from the point of view that you seem to be espousing) is that if one allows that mathematics can be done by "just thinking about it", math might well have philosophical "partners in innocence" with regards to a priori justification. yes, logic falls into the same "exception" (see my and Eamon's discussion above with Alastair). My problem with metaphysics is that it doesn't limit itself to what Hume would call matters of relation (mathematical and logical concepts), but pretends to tell us something about the physical stuff of which the universe is made. There, I think, the field needs to be turned over to physics. I suspect that Dawkins would argue that evolution has gone from theory to observation in the same sense as has the shape of the earth. In this limited sense it will never be replaced by an incompatable description. There are theories within the field of evolution that could be wrong without changing the history of life. Just as there are theories of the moon's history that could be wrong without suggesting miracles. You know, you should read the book, not anonymous reviews on Amazon. I have actually read the book, and the author's position aren't mystical. Unless, that is, you define as mystical anything that does not concern physicalism directly. But then you win by definition, which is a poor way to go. If he did that, Dawkins would display a very poor grasp of evolutionary biology. There is little doubt that evolution occurred (i.e., it is a fact), but that is entirely distinct from whatever *theory* one deploys to explain that fact. It would be like saying that there is little difference between Newton and Einstein on gravity, because things still fall to the ground. As you say, I have a low opinion of Rosenberg in that department (he is a fine philosopher otherwise). No doubt. But you were saying you weren't aware of there being many serious non-naturalist philosophers. The statistics seem to indicate otherwise. Even granting that, I think the sheer volume of respondents and their identification should give you pause. It cashes out to there being hundreds of non-naturalist faculty in the philosophy discipline. It seems pretty safe to say that non-naturalist philosophers abound. And that's before the whole question over just what qualifies as a naturalist anyway - on the other end of the spectrum, I've seen philosophers argue that anyone who embraces, say... platonism, isn't a naturalist either. But no matter. Just mentioning that there really does seem to be quite a lot of non-naturalist philosophers around.
" ...but that is entirely distinct from whatever *theory* one deploys to explain that fact..."
But I suspect that Dawkins is sensitive to attacks on the fact of evolution and less concerned with minutiae. And the umbrella of natural selection can subsume concepts like drift, because every change, whether neutral or positive, must survive and reproduce. Even if sky fairies zap specified mutations into existence, they are still subject to purifying selection. Concepts like adaptation and selfishness and "natural engineering" strike me as metaphors and projections rather than theories. The observed fact is that new alleles come into existence, and some of them fix in populations. Combined with genomic changes they account for the diversity of life. This is unlikely to change as a result of new discoveries, regardless of how you or Dawkins get quote mined. And incidently, your brief encounter with Dawkins has already been quoted to prove that Dawkins is wrong about everything, common descent is wrong, the Bible has the correct history of life, and so forth. So I think Asimov's quip that there are degrees of wrongness is still apt. Where do IDEAS come from? Answer: MINDS! Timelessly true "thoughts" clearly presuppose a timeless (eternal) mind. > Physicalism is the position that the only things that exist are those that have physical extension [ie, take up space] – and last time I checked, the idea of circle, or Fermat’s theorem, did not have physical extension. If you're positing that there are immaterial entities (e.g. mathematical objects) that exist beyond space and time, then you are clearly positing something that is supernatural (a term which means quite literally "beyond the natural"). If information is considered to be immaterial, then this implies that "physicalism" is compatible with "dualism." Merriam-Webster defines "dualism" as "a theory that considers reality to consist of two irreducible elements or modes." I'm curious as to what specific criticisms you have of the verification principle other than that it is self-defeating and what you think of my position on it. ah, now we are getting somewhere! Okay, there are so many things wrong with your comments that I hope not to forget any. Yes, but that's a problem with the ambiguity of the world "natural." Here I simply meant (and it should have been obvious from the context) "physically found in nature." But let me be clear: I think that naturalism is broader and more encompassing than physicalism. Not necessarily, you are begging the question here. Minds certainly *discover* ideas, just as they discover facts, but not all ideas are arbitrary. The point is that many mathematicians and logicians will tell you that they seem to be *discovering* mathematical and logical truths, not *inventing* them. It is in that sense, and that sense only, that I am sympathetic to mathematical Platonism. Please don't quote non-technical dictionaries when we discuss technical matters. It is absurd within the context of the philosophical literature to claim that metaphysical is equivalent to supernatural. Metaphysics is the branch of philosophy that deals with the nature of the world, not with gods and other human fantasies. Again, no. For mathematical Platonists mathematical objects, or the laws of logic, are natural. Just not physical. as you probably know, logical positivism is no longer a viable philosophical position among professional philosophers, and that is because of the mounting criticisms from people like Popper, Quine, Putnam, Kuhn and the rest. Still, there was quite a bit of good in positivism, and even in the verification principle, which is why Ladyman and Ross characterize their position as neo-positivism. As for the verification principle, I read the part of your post concerned with the objection of self-contradiction and I didn't find it convincing. For one, the objection isn't that the principle is self-contradictory, but that it doesn't apply to itself, which invalidates its universal application. Second, there are plenty of statements that people find meaningful and yet are not empirically verifiable, either in practice or in principle (example of the first type: I am currently thinking of dark chocolate; example of the second type: there is a creature outside our universe that created the latter). As you will see in part 2 of this essay, Ladyman and Ross advance their position by way of a Peirce-style (i.e., pragmatic) form of verificationism, which I actually think works much better than the original variety. "For one, the objection isn't that the principle is self-contradictory, but that it doesn't apply to itself, which invalidates its universal application." "there are plenty of statements that people find meaningful and yet are not empirically verifiable, either in practice or in principle (example of the first type: I am currently thinking of dark chocolate;"
That you are currently thinking of chocolate can be verified or falsified by you. Remember, my reformulation of the verification principle only says that in order to have meaning a statement must refer to experiences *someone* could have. Not necessarily me. "example of the second type: there is a creature outside our universe that created the latter)." This too is theoretically verifiable and falsifiable. For example, if you had been present at the origin of our universe, that predicts that you'd see the creature creating it. The potential experience referred to here is by no means practically verifiable, but there is a logically possible experience that could confirm and refute it. As a non-scientist and non-philosopher, but trained in legal reasoning and use of jargon (and taught to never use jargon, thus requiring plain english for concepts), it is obviously difficult to keep up with your chess moves against each other. Each chess piece has pages of controversy in their definitions in Stanford etc. (legal jargon tends to be settled (but changing hourly), but the facts will always have different potentials for application, and we have heaps & heaps of complex jargon). However, if one can identify the fundamental realities and concepts, I am confident the explanation would set a background for your issues to be resolved (probably, its quite obvious to say so). In other words, what is the real world to which "Metaphysics" would purport to apply, and how does Metaphysics enlighten us about it (thus demonstrating what Metaphysics is, rather than discussing it in abstract). If that explanation of fundamentals also takes the reader on a process of discovery we have a means of also demonstrating some "Method" (with Metaphysics, rational Methodology (including Epistemology) is a key). "Metaphysics (Greek: τὰ μετὰ τὰ φυσικά) is one of the principal works of Aristotle and the first major work of the branch of philosophy with the same name. The principal subject is "being qua being", or being understood as being. It examines what can be asserted about anything that exists just because of its existence and not because of any special qualities it has. Also covered are different kinds of causation, form and matter, the existence of mathematical objects, and a prime-mover God." There is no difference between your definition of "physicalism" and "naturalism." Both include immaterial entities! We're talking about mathematical objects, not planets. You're committing the "reification fallacy" (a.k.a. the "fallacy of misplaced concreteness"). If you truly believe in Platonic forms, then you should not any problem with Sheldrake's hypothesis of "morphic fields." And if you do, then please explain to me where these forms are located and how the human mind perceives these immaterial entities. I understand. Your belief in Platonic forms is based on faith. as I said, I don't think those numbers are reflective of the profession as a whole, and again, metaphysicians are a special case. Nonetheless, I'm sure you are right that there are legitimate philosophers who are not naturalists. But, you know, there are plenty of scientists who are theists, or accept fringe science notions. All of which points to the fact that no academic community is entirely rational or coherent. Well, yes, but the idea of underdetermination isn't limited to anti-realists. Any reasonable scientist will agree that the phenomenon is true at least in some cases. But as far as I know no anti-realist uses it the way you and perhaps Russ Abbott deploy it. Another way to put it is that people are free to get a good idea and run into nonsense, but that doesn't invalidate the idea itself. Actually, it's more complicated than that. At any rate, I did not defend Aristotle's metaphysics, so what's your point? Go back and re-read what I wrote: physicalism excludes - by definition - anything non-physical. Naturalism makes room for non mystical non-physical objects, like ideas, mathematical objects, logical principles, and the like. You obviously missed the point of my analogy. I did not do any such thing. Again, you missed the point. Morphic fields are a pseudoscientific notion, and have nothing whatsoever to do with the discussion we are having. Non-physicalist naturalist is not a license to accept any sort of nonsense anyone can imagine. I understand, you are increasingly less serious about engaging in this discussion, and hell bent to attribute to me notions or attitudes I explicitly reject. We may have reach the limit of fruitfulness for this exchange. The point I was trying to get at is that the argument from underdetermination that you offered above did not seem to explain why it would [allegedly] defeat [or seriously undermine] scientific realism but would fail to defeat or similarly undermine realism on other cases as well (e.g., the examples I gave), and perhaps that's what Russ Abbott was worried about. In any case, and regardless of what Russ Abbott's position may have been, it seems to me that the argument from underdetermination of the theory by data would require some explanation as to why such underdetermination would be an obstacle to realism in science but not in the other cases, or why it would be an obstacle in the case of some scientific theories, but not others (if, say, the person deploying the argument from underdetermination is a realist about, say, common descent, but not about electrons). Aristotelianism is a theistic philosophy. That's a fact - a fact that I have already substantiated with appropriate documentation. You defined "physicalism" as a doctrine that does not only include material objects. This clearly implies that your defintion of physicalism includes non-material objects. As such, your definition of physicalism is completely compatible and interchangeable with your definition of "naturalism." It was a false analogy. You're comparing concrete, physical objects with abstract, nonphysical objects. You're committing the "reifiication fallacy" - treating the abstract as if it were concrete. Sheldrake's "morphic field" ("morphe" is Greek for "form") is actually synonymous with Plato's transcendent realm of forms (which is exactly what you are proposing). So, his hypothesis is directly relevant to the discussion at hand. If you subscribe to Plato's transcendent realm of forms, then you subscribe to something very analogous to Sheldrake's concept of a "morphic field." You belief in Plato's transcendent realm of forms is no different than the theistic belief in a transcendent God. Both are ultimately taken on faith. That you refuse to acknowledge this point does not invalidate it. I watched the video. The moderator asked Professor Quine the following question: "I think you need to explain that a bit. If you're a physicalist, how can justify your belief in abstract entities?" No intelligible explanation was forthcoming. It should also be noted that Quine considered himself to be a PHYSICALIST, not merely a "naturalist." By the way, I am not necessarily objecting to Platonic forms. What I am objecting to is the idea that a physicalist/naturalist should have the luxury of appealing to a transcendent realm of abstractions. I am also objecting to the idea that an eternal realm of abstractions can exist independently of an eternal mind. Physicalism and naturalism are not synonymous. Quine's argument for the ontological status of mathematical entities is similar (identical many respects) to the argument for the ontological status of certain hypothesized micro-physical particles: The scientific view which results from their use is more economical, more fruitful in suggesting further research programmes, and more useful in organizing and predicting phenomena. This is his argument & he clearly expresses it. Quine calls himself a physicalist with respect to "minds" and with respect to the nature of the so-called macro-level physical objects. He calls himself a physicalist to distance himself from certain others, idealists notably. Just to help clarify. Massimo is not treating abstract objects as concrete; he's not saying mathematical objects are causally related to events, e.g. He's asserting that certain abstract objects are admissible into a proper naturalistic ontology. Again, you are not quite gathering the naturalist's ontology. You should listen to the entire On the Ideas of Quine interview I linked you to. I listened to the entire video! There was no argument. Here's the bottom line. If you subscribe to Plato's transcendent realm of forms, then you subscribe to something very analogous to Sheldrake's concept of a "morphic field." I'm reading ETMG and LOVING it. I think I'm going to be a neo-positivist. The Vienna Circle had a lot of influence on the physicists of their time, btw. Ken Wilbur's "Quantum Questions" is a fascinating compendium of physicists talking on topics the Wilbur thought were akin to mysticism, but actually most of it is a reaction to the Vienna Circle thinkers. Well, that and the Copenhagen Interpretation, which also seems to be out of favor right now. Many Worlds, as counter intuitive as it seems at first, at least assumes the most obvious notion: that an observer is also part of the universe. Anyway, read properly, Wilbur's book is the death knell of thePhysics = Buddhism claptrap that dominated the now defunct New Age movement. New Ageism took its permission from the Copenhagen Interpretation. Quantum Questions, as much as it wants to be a mystical argument, makes it clear that 1) those pioneers of QM weren't accidentally discovering eastern mysticism. They were actually quite conversant with it, and aware that their work was something different. Wilbur, bless his soul, makes this plain in his introduction, which, while it is a mystical apologia, actually debunks the woo worldview. I'm happy to grant mysticism to anyone who is willing to leave science out of it. But at the same time, there was both an analytic and post modernist backlash against the Logical Positivists. I never fully understood the ardor of that backlash. So, if logical positivism is supposedly as defunct as pragmatism, slap a "neo" on there and let's get going. I plan to keep pushing through ETMG, because it makes my brain tingle. Yes, I see your point, but this is a case of misapplication of the concept. Anti-realism and the underdetermination argument apply to scientific theories. Why would you want to apply them to notions that are not scientific? It is no surprise that those concepts wouldn't do any work outside of the context for which they were meant. Except when applied to the verification principle itself, which was the point of the original objection. You are simply skirting the issue here. No, verification means third-party verification. If you include subjective personal experience you ain't talking science anymore. Says who? And when was the last time you met someone who was present at the origin of the universe? The point is that the statement is perfectly meaningful and yet there is no way any human epistemic agent could ever verify it. Hypotheses like common descent, or that the Earth is about 4.55 billion years old, that there is a planet in a certain orbit (e.g., Gliese 581d), that DNA can be used to ascertain whether some cells are almost certainly from some individual (like using DNA analysis to establish that the perpetrator's blood is in the victim's nails), and a myriad others, are scientific, so that alone would be put the burden on an antirealist who accepts the underdetermination argument. No matter how one distinguishes between scientific and non-scientific hypothesis, a scientific hypothesis is also a hypothesis based on some experiences, interpreted in light of our own previous beliefs and our intuitions (using 'intuitions' broadly, including reason), not unlike ordinary hypothesis in daily light. If the underdetermination of theory by data is accepted as a good reason in the case of the hypotheses in the category 'scientific', then a valid question is: why pick just that particular category? In other words, why consider that some hypotheses based on some experiences, interpreted in light of our own previous beliefs and our intuitions, are vulnerable to the argument from underdetermination, but the rest aren't? It looks like an ad-hoc choice to me, unless good reasons are given. So, I do not think that an antirealist who supports the underdetermination argument and finds the 'no miracles' argument, simplicity considerations and generally any argument in favor of scientific realism unpersuasive can properly dismiss the problems that would result from the acceptance of her stance when it comes to hypotheses that are not classified as 'scientific' merely by saying that the concept of underdetermination and/or her stance is not meant to apply to them. Moreover, I would say that the problem might even suggest something akin to Plantinga's EAAN (even if perhaps limited to beliefs about concreta other than ourselves, which would still be a very strong conclusion), as I will argue in the next post. No, Aristotle's prime mover has so little to do with "theism" that the two are best kept widely separate. At any rate, my point was never that metaphysics had nothing to do with the supernatural throughout the history of philosophy. Just think of the Scholastics. My point is that no serious contemporary metaphysician would bring god into his discussions. And yes, I do not think theology is serious philosophy, sorry. Clearly, I did not separate physicalism and naturalism in the PN article. But equally clearly it is perverse of you to keep ignoring what Eamon and I have been saying for days: there is a distinction, and that's the basis on which we claim that a naturalistic mathematical Platonism is conceivable. Stop trying to score rhetorical point and get back to the point of understanding what others are saying. Eamon has already explained to you why you are flat wrong on this one. Can't do any better myself. You must be using a meaning of the term "synonymous" with which I am unfamiliar. Have you actually read anything about Sheldrake or Plato? Because it doesn't sound like it, from where I stand. One more time (probably the last one, since my explanations seem to fall on death ears): I do NOT believe in Plato's transcendental forms. Mathematical "Platonism" of a naturalistic kind shares the word "Platonism" with the original for some good reason, but it is an otherwise entirely different idea. And it's got nothing to do with faith, as the links Eamon and I gave you clearly show. Given that the jury is clearly still out and neither dogmatic realism nor dogmatic anti-realism is tenable, I think a pragmatic reflection on the consequences of either "commitment" is worthwhile. The realist will spend her time talking about things like embryology, evolution, emergent properties, perspectivism. The anti-realist will talk about Botzlmann Brains, quantum weirdness, precognition, immortality, p-zombies, Mary's Room, Anthropic Principles, Transhumanism, Simulation Argument. The realist is committed to incremental improvement, the anti-realist to immortality. The payoff of realism is technology, the payoff of anti-realism is reassurance, popularity and, often, money. If you want the most chicks, you should really double down on anti-realism. Just go straight to mysticism plus a guitar. If you want to be a responsible parent, then realism is the way to go. On the issue of the argument from underdetermination of theory by data, let's say that Alice is a naturalist who rejects the 'no miracles' argument, simplicity considerations, and generally finds any arguments for scientific realism unpersuasive, and instead holds that the 'underdetermination of theory by data' argument succeeds. Let's also stipulate that she accepts the truth of usual views of the world, like my belief that there is a computer in front of me right now, or that I went to the supermarket today, etc. 1. She holds that underdetermination of theory by the data as a good reason to reject scientific realism. 2. However, not only are scientific theories underdetermined by data, but also the hypothesis that, say, all of the things that I can see outside my window and look like trees are trees is not determined by the data. The data is compatible with one of them being a very powerful shapeshifting being pretending to be a tree, or some incredibly advanced alien observation device. Similarly, the data is compatible with the hypothesis that among about 7 billion humans, there are about 1 million mindless zombies, and/or 1 million shapeshifters pretending to be human. Even the hypothesis that holds that there is a computer right in front of me is not determined by the data. My experiences are compatible with a Matrix-like scenario. 3. Alice accepts that any intuitive way of interpreting our experiences (e.g., trusting the picture given by our senses as generally properly describing the world) is the result of our genetic predispositions to interpret experiences in such manner (which in turn result from the evolutionary process), the interaction with the environment during embryonic and fetal development, and generally our more recent experiences since birth to know – in brief, no God is included. 4. However, any information that may have impacted the evolutionary process (no matter how) was not sufficient to determine any theory of the world, and neither was any further data from the time of embryonic development to the present day. (The degree to which genetic predispositions condition our intuitions may depend on the case, but that's not relevant in the context of the present argument, since all of the previous steps are underdetermined by data). So, a reply like 'we should trust our intuitions unless we have good reasons not to, and that includes our intuitive view of the world' would not seem to be of help to Alice, since the intuition in question would be undermined by the underdetermination argument as scientific theories are, at least unless she can give a good reason to avoid that. 5. Generally speaking, if we science aims at empirical accuracy, not truth, then why believe that evolution aim at truth? Of course, different scientists may have different aims (e.g., perhaps some are seeking truth, whereas others are seeking empirical accuracy), and the evolutionary process is not guided (Alice accepts that), so in a sense there is no aim, but semantic issues aside, the point is that she seems to have a burden to explain why she holds that all or nearly all of the theories resulted from evolution + some interaction of an individual human with her environment will accurately reflect the truth, except when they're also in the category 'scientific theories'. All that said, and to be clear, I do not accept Plantinga's EAAN or anything like that. My point is that if a person accepts scientific anti-realism on the basis of the argument from underdetermination of theory by the data (rejecting the 'no miracles' argument, etc. ), and also is a realist about non-scientific assessments, then she ought to explain a few things, it seems to me. For Quine (who at times called himself a scientific realist and at times presented significant anti-realist arguments) positing external physical objects is justified only insofar as it serves to economize our understanding of our sensory stimuli. If you were to push him further here he would say you want a justification for the so-called external world that is not forthcoming and, even worse, of no importance whatsoever. I have no idea how you draw connections between anti-realism in philosophy of science and any of the things you list. Honestly. as I said, you are applying anti-realism in philosophy of science to notions that are simply not scientific. You can draw whatever conclusion you want from that, but that doesn't constitute an argument against anti-realism. I don't think evolution aims at truth. Properly speaking, evolution doesn't aim at anything, since it's not an agent. And at any rate the currency of evolution is fitness, not truth. Because it is trivially true that data underdetermine non-scientific hypotheses of the type you mentioned. It is certainly the case, for instance, that I cannot be sure - no matter how much data I accumulate - that the rest of humanity isn't made up of zombies. Indeed, the latter isn't even an empirically testable hypothesis at all, let alone a scientific one. Oh, I didn't mean to narrow it down to Philosophy of Science. However, I bet you anti-realists in that realm are also partial to my list of topics. In my mind realist = physicalist. I'm sure there might be some idealist realists (Platonists? ), but I was shorthanding it. My list is also, in my mind, a list of dualist or idealist assertions. As I read ETMG with a hope of resurrecting positivism, these assertions are obviously on a hit list for positivist attack. But also, let's consider the philosophy of science and what practical value it might have. We skeptics like to think that the Demarcation Problem is a worthwhile discussion, but it is, practically speaking, a moot point. Science doesn't seem to want a lot of help from philosophy (I'm not saying it shouldn't, but from its perspective, it's not in crisis over the demarcation problem). Pseudo Science, for its part, seems if not immune then highly resistant to the labors of skeptics. So why on earth do we pursue this problem which seems to either be ignored or to fix itself after sixty years anyway? It's because we are looking to import value from science into our everyday lives, and we want to know by what authority we can do this. It's because we want the promise of, in Alisdair MacIntyre's words, a "non-manipulative" value system. The real demarcation we want, and that we should want, is a distinction between the manipulative and the non-manipulative relationship. The realist, physicalist, neo-positivist stance is the best (and still shoddy) hope for getting this. The anti-realist, the idealist, the Transhumanist, these are all people who, in various ways, have given up on a non-manipulative world. Reality is the hope for objectivity. Objectivity is the hope for honesty. If any of these debates are worth having, if any of these distinctions are worth drawing, it is in the name of these values. I think your views on the practical use of skepticism and philosophy are a bit too pessimistic, as I've argued in the past. And that's besides the intrinsic intellectual interest of those exercises. But, I repeat, you are simply wrong in associating anti-realists with the positions you list. For one, I'm pretty sure that transhumanists are much more likely to be realists than anti-realists about science. And anti-realism has nothing to do with subjectivism, contra to what I think you are implying here. btw, this discussion has now moved to the second part of my post. re: "Generally speaking, if we science aims at empirical accuracy, not truth, then why believe that evolution aim at truth?" This question really hints on far too many points to address in this venue, but here is a crude answer. First, anti-realists are not committed to holding that scientific theories are not true or partially true (only instrumentalism -- a species of anti-realism -- is committed to this). Rather, they are committed only to the claim that scientific theories do not aim toward truth; empirical adequacy is the raison d'etre for scientific practice (I have in mind here constructive and structural empiricists). Truth (even if defined in a correspondence sense) may result from out best scientific methods, but it needn't. Second, some anti-realists (e.g. certain pragmaticists and pragmatists) may take a different route. They may claim that "truth" is importantly related to the empirical methods employed to produce hypotheses worthy of holding on the basis of the evidence. So, in a nutshell, they might claim that "truth" consists of little more than highly confirmed beliefs / hypotheses within a larger theoretical framework, not of any metaphysically odd "correspondence" with "reality". For these latter anti-realists the theory of evolution is not an explanation which needs to be TRUE; rather, it is a system of propositions deduced from a small number of principles the aim of which is to represent as simply, as completely, and as exactly as possible, a group of experimental and observational findings. If this theory serves useful in advancing a fruitful research programme, good on it; if it does not (like Abrahamic creation hypotheses), we dismiss it. If the theory perseveres and survives the gauntlet of testability, we may say it is "true". > My point is that no serious contemporary metaphysician would bring god into his discussions. Whitehead's "process metaphysics" is theistic. I believe your definition of "physicalism" in the your article was fairly accurate. "Physicalism is also called "materialism", but the term "physicalism" is preferable because it has evolved with the physical sciences to incorporate far more sophisticated notions of physicality than matter, for example wave/particle relationships and NON-MATERIAL forces produced by particles...The ontology of physicalism ultimately includes whatever is described by physics — not just matter but energy, space, time, physical forces, structure, physical processes, INFORMATION, state, etc." It should be noted that "information," in the context of physics (or more specifically "digital physics"), is ultimately immaterial. The technical definition of "physicalism" actually does include immaterial objects, and I have just furnished you with documentation to support that claim. Eamon's rationale was basically this: We must employ mathematics in order to do science; therefore; we must ascribe ontological status to mathematical abstractions. "The ontology of physicalism ultimately includes whatever is described by physics." I stand corrected here. "Synonymous" was not the appropriate word choice. Sheldrake's hypothesis of "morphic fields" would include Plato's "theory of forms," but it is far more comprehensive. But the point I was attempting to make is this: To subscribe to Plato's "realm of forms" is to subscribe to something akin to Sheldrake's "morphic field." Puhlease! Your mathematical objects are non-physical. As such, they are TRANSCENDENT (not located in space and time). "Mathematical Platonism is the form of realism that suggests that mathematical entities are abstract, have no spatiotemporal or causal properties, and are eternal and unchanging." I understand if you don't have time to discuss with so many people; if that's what happening, please let me know. Otherwise, perhaps it's time for us to agree to disagree. That misses my point, I'm afraid. The fact that the scientific anti-realist did not mean to apply her argument to other hypotheses is not relevant; one may justifiably point out that the same property that scientific hypotheses have (i.e., underdetermination by the data) is a property of many other hypotheses, etc. If the scientific anti-realist bases her beliefs on the underdetermination argument, etc. (I gave details in my earlier posts), then there is a problem for her position. But I've already given arguments above, so I will respectfully refer you to them. Yes, of course you're right evolution is not an agent. "Generally speaking, if we science aims at empirical accuracy, not truth, then why believe that evolution aim at truth? Of course, different scientists may have different aims (e.g., perhaps some are seeking truth, whereas others are seeking empirical accuracy), and the evolutionary process is not guided (Alice accepts that), so in a sense there is no aim, but semantic issues aside, the point is that she seems to have a burden to explain why she holds that all or nearly all of the theories resulted from evolution + some interaction of an individual human with her environment will accurately reflect the truth, except when they're also in the category 'scientific theories'." So, I was speaking figuratively, and explained what I meant in considerable detail immediately after that, so I do not think that using the expression figuratively was improper. Also, I thought you too were speaking figuratively when you talked about what science is after. Sorry if I misunderstood that part. If you were not speaking literally, it's not true that science is always after truth, and it's also not true that science always is after what works. What is true is that different scientists have different aims. However, as I mentioned, semantic issues are a side point. That's not at all what I'm getting at. But what follows the 'because' does not give anyone any (good) reason to pick the category 'scientific' as the only category in which underdetermination would defeat and/or undermine realism, while excluding the other categories. The point is that it's true (trivially or not) that data underdetermine plenty of hypotheses, scientific or otherwise, etc. ; I already gave considerably detailed arguments above, so I'll respectfully refer you to them here as well. I think Eamon has actually done a very good job at answering your points. But I am still a bit fuzzy at what exactly you are aiming at. None of your consideration can be interpreted as an argument against the anti-realist position, and we have agreed that of course is underdetermination applies to scientific theories a fortiori it applies to everyday hypotheses or to pseudoscientific ones. What exactly follows from that? What does the anti-realist have to explain as a result? And of course while the distinction between scientific and non-scientific hypotheses is an interesting one (in philosophy it's referred to as the demarcation problem, I have an edited book for Chicago Press coming out on the topic), it still is conceptually distinct from the debate between realists and anti-realists, which is what I was concerned with in this post. What the antirealist who finds the underdetermination argument persuasive as an argument for antirealism in science (or more likely, some scientific theories) but finds it unpersuasive as an argument for antirealism outside science (or more likely, also some scientific theories) ought to explain why underdetermination of the theory by the data undermines or even defeats hypotheses like the hypothesis that electrons exist, but does not undermine (or defeat) other hypotheses in which the theory is also underdetermined by the data, like the hypotheses that, say, the planet Gliese 581d actually exists*, that the Moon Landing happened*, that humans and chimpanzees shared a common ancestor between 5 and 7 million years ago*, that a defendant is guilty as charged in a murder case in which forensic evidence by scientists was crucial*, that there are other minds*, that it's not the case that 1 million apparent people are actually zombies*, That Sai Baba of Shirdi didn't appear to some of his followers a few days after his death*, that AIDS is caused by the HIV virus*, and so on. In other words, if underdetermination of theory by the data undermines or even defeats some hypotheses, but doesn't affect others, why is it the case that only the former are affected? Incidentally, the distinction is not between scientific hypotheses and hypotheses outside science, as long as the person who is an antirealist about, say, electrons, accept some other scientific hypotheses, like those about a common ancestor between humans and chimpanzees, exoplanets, the HIV virus, generally use of forensic evidence by scientists to solve criminal cases, establish parentage, and so on. That aside, Eamon did address my points (and I have to thank him for taking the time), and I've addressed his points as well. He offered one potential way in which an antirealist might try to explain the distinction, namely the 'live' versus 'non-live' hypotheses; I gave reasons why in my assessment the argument from underdetermination would not work in that case, either. That would not mean that an antirealist about, say, electrons, wouldn't have other arguments for her antirealism. But that's another matter. * Unless they think it undermines or defeats that hypothesis as well. There is a confusion here. The anti-realist, I think, is committed to anti-realism across the board. The reason she will reject pseudoscientific notions, for instance, is because they are not even empirically adequate. In Eamon's terms, they are not "live" options. The realist, of course, will reject pseudoscientific notions because he thinks they are not true. It isn't, because it doesn't. I'm afraid I don't have the time to properly take part in that discussion, and I prefer not to make comments without carefully considering them before posting (I wasn't expecting my comments here to result in such a long debate, by the way, but I guess I should have known better given my experience on internet discussions). I'm not sure I understand what you're saying here. Are you saying that the antirealist in question accepts the argument from underdetermination in the cases I've listed (e.g., whether the defendant did it) just as she accepts that argument in the case of, say, electrons? As for 'live' options, that's not how I understood the meaning of the term. Could you clarify, please? When is an option 'live'? So, are you saying that the antirealist who accepts the underdetermination argument does not limit the application of said argument to the category 'scientific theories' but applies it, say, to hypotheses like the hypothesis that electrons exist, but does not undermine (or defeat) other hypotheses in which the theory is also underdetermined by the data, like the hypotheses that, say, the planet Gliese 581d actually exists*, that the Moon Landing happened*, that humans and chimpanzees shared a common ancestor between 5 and 7 million years ago*, that a defendant is guilty as charged in a murder case in which forensic evidence by scientists was crucial*, that there are other minds*, that it's not the case that 1 million apparent people are actually zombies*, That Sai Baba of Shirdi didn't appear to some of his followers a few days after his death*, that AIDS is caused by the HIV virus*, and so on? a. People shouldn't aim at finding the truth. b. People in fact do not aim at finding the truth. Remember that anti-realism is about non-observables, it doesn't apply to the whole of empirical evidence. The Moon landing, for instance, is of no concern to the anti-realist, because the evidence for it does not appeal to hypothetical entities like electrons. Well, the hypothesis that electrons exist *is* a scientific hypothesis. But at any rate, as I mentioned above, the anti-realist has problem with truth-type statements only when applied to unobservables, not in general. (a) is a normative statement, while (b) is psychological. I doubt the anti-realist would make either. Rather, (c) he would say that there cannot be any guarantee that people talk about truth when they talk about unobservables. As for what counts as a "live" option, that depends on the available empirical evidence. Ether is no longer a live option in physics, nor is demonic possession in psychology. We have better theories, which the realists would say are closer to the truth, while the anti-realists would say are more empirically adequate. If the antirealist claims that the argument from underdetermination undermines or defeats realism about non-observables but not about observables, my question would be: what's the justification for that claim? Also, I'd like to ask for a little clarification on the term 'non-observables'. For instance, is a virus observable? Is a black hole observable? A large object that collided with the Earth billions of years ago? Sorry, copy/paste error on my part. My question was meant to be: does the antirealist in question extends her antirealism to hypotheses (some of them scientific, not all) like the hypotheses that, say, the planet Gliese 581d actually exists*, that the Moon Landing happened, that humans and chimpanzees shared a common ancestor between 5 and 7 million years ago, that a defendant is guilty as charged in a murder case in which forensic evidence by scientists was crucial, that there are other minds, that it's not the case that 1 million apparent people are actually zombies, That Sai Baba of Shirdi didn't appear to some of his followers a few days after his death*, that AIDS is caused by the HIV virus, and so on? But as I mentioned above, if the antirealist claims that the argument from underdetermination of the theory by the data undermines or defeats realism in the case of non-observables, but does not have that effect in the case of observables, then it seems to me that the antirealist in question has the burden to explain why underdetermination of the theory by the data would undermine or defeat realism in the case of non-observables, but would have no effect in the case of observables. a. That would leave aside many objects that no longer exist, are too far away, etc., like an asteroid that caused the KT extinction (or is that an observable? Please clarify what 'observable' means here). b. Moreover, in most cases, it would also leave aside the Moon Landing, since people can't actually go to the Moon and see the evidence, video footage could be faked, etc. c. It would leave aside belief in other minds, since we cannot see minds. d. Much more generally, that would not explain why underdetermination of theory by data does not undermine our belief that our intuitive interpretation of our visual experience (e.g., I see a monitor in front of me and I believe there is one, not that I'm in a Matrix-like place) as it does undermine belief in unobservables. Perhaps, the anti-realist has a different answer, but I'd say she'd have to provide some justification for a claim that underdetermination of theory by the data undermines or defeats realism in the case of non-observables but not in other cases. I'll address the rest of your points in a moment. Given that Eamon meant to make a point about normative claims before (i.e., Eamon seemed to say that some antirealists would make a normative claim about the proper aim of science), and I didn't realize that, I considered both a normative and a psychological statement in my reply to your post above, to try to cover both possibilities. Your position seems to be different from Eamon's (or at least, you seem to be talking about a very different kind of antirealist), though I'm not entirely sure what you mean by saying that "there cannot be any guarantee that people talk about truth when they talk about unobservables"? i. There aren't sufficient grounds to conclude that unobservables exist? ii. When people talk about unobservables, they're not making ontological claims. My impression is that you mean i., but please let me know if I misunderstood what you meant. In any case, if the antirealist claims i., and claims that the reason is that theory is underdetermined by data, then that leads to the burden I mentioned above. 1. The defendant committed the murder. 2. The defendant was framed by aliens that are so advanced that we don't have the means to empirically distinguish their frame from the hypothesis that the defendant did it. 3. The defendant was framed by an omnipotent being who is bent on persuading us that the defendant is guilty. 4. The defendant was framed by a mobster. Empirically, we can plausibly distinguish between 1. and 4., between 2. and 4., or between 3. and 4. However, 1., 2., and 3., appear to be empirically indistinguishable. So, if whether an option is 'live' depends on empirical adequacy, it seems to me that 1., 2., and 3., would be equally 'live', which would be a problem as well, in addition to the previous ones. I guess you don't mean 'invalid', but 'unsound', or 'unpersuasive'. But in any event my arguments do not assume that Plantinga is a serious philosopher, or that serious philosophers should take the EAAN seriously, or anything like that. I'm afraid you're missing my points. Again, if this is due to a lack of time, I get it, but still my points stand. First, different scientists aim at different things, so in that case, the issue of scientific realism vs. anti-realism would be a matter of psychology of the scientists. If the anti-realist you have in mind claims that all (or even most) scientists do not aim at truth, I would say that they're almost certainly mistaken. On that note, Massimo said in the post we're commenting on that most scientists were scientific realists. If that means that most scientists believe that scientific theories aim at truth, it's hard to see what that might mean other than that scientists aim at truth when they engage in their practice. But if most scientists believe that scientists aim at truth when they do science, it seems pretty plausible that most scientists do aim at truth when they do science, and even more so considering that they usually believe that they've achieved truth. Second, I was addressing the case of a hypothetical antirealist who was convinced of her position due to underdetermination of theory by data, and who was actually skeptical about whether science generally achieved truth. However, in the case of a hypothetical antirealist who only has a claim about what science aims at, then it seems that the argument from underdetermination of theory by data is a really bad argument for that. For example, it seems clear that when people try to establish whether, say, a defendant is guilty, they usually aim at truth, even if the final conclusion will always be underdetermined by the data. Similarly, historians clearly try to figure out what actually happened, even though their theories are underdetermined by data. Aren't they scientists? If they're scientists, then the antirealist is incorrect in their case. If they're not scientists, still why should underdetermination of theory by the data give us good reasons to think that scientists are not aiming at truth? Generally speaking, there appears to be no particular reason to suppose that underdetermination of theory by the data would give us accurate information about the intentions of those positing such theories, let alone warrant the conclusion that they aim or probably aim at what works, not at truth. Also, generally, if the antirealist has a theory about the (usual) psychology of scientists, that needs to be tested by studying scientists, not by whether a theory is underdetermined by the data. Quite true, but they do not make a distinction between scientific and non-scientific hypotheses in this context (rather, they reject any correspondence theory of truth in general), so they're not the kind of antirealist I was addressing. First, re: "... different scientists aim at different things, so in that case, the issue of scientific realism vs. anti-realism would be a matter of psychology of the scientists." The matter of the proper aim of science does not turn on the psychologies of particular scientific practitioners. Rather, it turns on the logic of scientific practice itself: theories are accepted or rejected for many reasons (problem-solving ability, coherence with accepted theory, simplicity, etc.) all of which the anti-realist can defend on grounds which does not give a nod toward truth-tracking. Second, re: "For example, it seems clear that when people try to establish whether, say, a defendant is guilty, they usually aim at truth, even if the final conclusion will always be underdetermined by the data." The anti-realist can (should?) say here that what is "true" may indeed be what "really" happened, but that what "really" happened is some significant sense immaterial since at any time what we consider "true" is entirely constituted in the evidence -- that is, insofar as the hypothesis (e.g. Professor Plum in the library with the revolver) better explains the evidence. The criteria via which we adjudge fitness are do not include "what really happened" but rather simplicity, coherence, predictive power, etc. By the 'proper' aim of science, I guess you mean what scientists should aim at (in a rational sense of 'should', not a moral one), rather than what they actually aim at (if that's not the case, please clarify). If so, then I wasn't talking about that. I understood your point being about what science aims at, not what it should aim at (i.e., about what scientists aim at, not what they should aim at). Scientific hypotheses are defended on many grounds, but so are hypotheses in general. I do not see the distinction on this matter (I'll address unobservables later, when I address your comments on the matter), but in any case, my original points were about the argument from underdetermination of theory by data, not about other arguments an anti-realist may make. I'm not entirely sure what you mean by 'true' in quotation marks, but that would seem to be an argument for anti-realism in that case as well (i.e., is that an argument that we should not aim at truth in that case, either?). In any case, the point I was making was rather a psychological point (people are trying to find out what happened), because of the way I understood your previous post (i.e., the difference is between 'aim' and 'proper aim'). The new argument for antirealism you provide above (if that's what it is) would require further discussion, but in any case, it seems it also makes no distinction between scientific hypotheses and hypotheses in general. I'm not saying that that's a problem for anti-realism, but that that's not the issue I was trying to address. Regarding Quine, I think I see your point. In that case, it seems to me that the antirealist wouldn't be drawing a line between science and non-science, and would be an antirealist not only in the case of, say, electrons, but also in the case of, say, bananas – unless they think there is a particular problem with electrons and not with bananas, but my point is that there wouldn't be a science/non-science division in their antirealism. Is that interpretation of what you're saying correct? If so, that would resolve the problem I was getting at. It might create others, though, but unfortunately, a full discussion of the matter would take more time than I'm free to dedicate to it. Perhaps Quine or Nelson Goodman, e.g., would not draw that particular line, but some anti-realists would, however. It is important to note that scientific anti-realism does not entail metaphysical anti-realism. Most scientific anti-realists are metaphysical realists, and are the latter because of the same reasons many scientific realists are; only scientific anti-realists don't include into their ontology various unobservable objects- e.g., elementary physical particles. So, in point of fact, most anti-realists (who are also metaphysical realists) draw a sharp distinction between observables and unobservables. The former get to be called 'real' whilst the latter do not. Now, the underdetermination argument is applied at this level -- the scientific level -- because the alternative explanatory hypotheses on offer are live options. According to this line, there are really no live options with respect to the existence of observables. Bas van Fraassen runs this argument, e.g. I really should have broached this in my initial response to you, and instead used the Quine quote to highlight another anti-realist line. I'm not claiming or suggesting that scientific anti-realism entails metaphysical antirealism. What I've been arguing about that if the argument accepted as supporting of scientific antirealism is the argument from underdetermination of theory by the data, then the antirealist should give some reasons as to why that does not apply to all of the other cases. The point you make about unobservables suggests one such potential reason: namely, that allegedly there are no 'live options'. That there are 'no live options' seems to mean (in my view) that the alternatives are deemed extremely improbable – so much so that we can rule them out beyond a reasonable doubt. For instance, let's consider the case of a defendant on a murder case. Sure, he might have been framed by aliens from another planet with sufficiently advanced technology to fool us. But that's not a live option – that doubt wouldn't be reasonable. If that's not what 'no live options' means, please let me know what it means. But if that's what it means, underdetermination of the theory by data is not the issue in the case of the particles, either, since all we would need for realism would be to rule out the alternatives beyond any reasonable doubt, which does not require determination of theory by the data; furthermore, we wouldn't even need a "beyond a reasonable doubt" assessment if we only want to say that (for instance) electrons probably exist. So, the theory (scientific or not) is always underdetermined. That's never the problem, it seems to me. The question is whether we can rule out all other hypotheses beyond a reasonable doubt, or at least assess that a certain hypothesis is very probable, etc. A difficult issue is how we make such probabilistic assessments, and I recognized that that would require a more thorough discussion. Reading some threads here, and having now read part 2, I would suggest a key definitional issue (or one of many, as you wish) is "information". DNA may be a digital form that shapes and reshapes protein production or non-production by shifting nucleotide sequences. It is often compared to a computer tape, and that comparison might hold despite it being nucleotides of A C G or T rather than O or 1. However, as we know, those proteins can either build something workable that works in fact due to environmental support - far more complex than binary sequences in principle, but relying on the incredible flexibility of the binary in practice for evolution of organisms. How do we classify information of the sequential digital kind? Some like James Shapiro might say it is a basis for an "intelligent" process of evolution (the process itself, rather than the eventual outcome of higher order animals - so bacteria might qualify simply because they are more organized by information than a rock or a puddle). I would confine intelligence to the usual meaning for higher order animals (and exclude computers, even), but the issue of classifying binary DNA remains. It is perhaps a basal state of flexible regularity around which events change their natural flow (perhaps delicate and intricate enough to facilitate the naturalness of the flow). My classification is that it may be a real property of things, along with properties of electromagnetism or gravitation possessed by particles & fields as objects that have those properties, for example. It might remain so, even when particles and fields rise into to chemistry. It may provide the lowest level determination of interfaces between compounds, and in itself it might simply be sequential interfaces between A C G & T. Ideas about interface and 'root hub' come to mind. As mere sequences it might be a pure regularity of interface, shaping a practical level of chemical interface. It may be an example of where objects (A C G & T's) make an object (a strand of DNA) that exists entirely because the A C G & T interfaces have the regularity & flexibility to be of binary use. Binary information carrying as a real property of real A C G & T objects, applied to great effect. I was describing the anti-realist position: "electron" may refer to something real, but for the anti-realist there is no way to know (because electrons are unobservable), so all they wish to say is that talk of electrons is empirically adequate. There is no further burden for the anti-realist. Consider that anti-realism is an ontologically economical philosophy. They are saying that some things exist / are true (those we can observe, after they all they are empiricists! ), while other things (unobservables) may or may not be true, but science uses them because they are empirically adequate. The burden, if anything, is on the realist to make a convincing case that unobservables too are real/true. 2. and 3. are not alive at all, because not only they bring in unobservables, but a type of unobservable that we have no good reason at all to consider seriously. Both realists and anti-realists would reject 2. and 3. Empiricism. This has always been the problem with unobservables, empiricists since the Vienna Circle (actually, since Hume!) have always had a problem admitting into science things that are constructs of the human mind for which there is no way to make direct observations. Good question, and there are philosophers (usually, realists) who reject that distinction. But I think that just because the status of some entities as observable / unobservable changes this is not enough to defeat anti-realism. Viruses are (now) observables, so they can be included in the empirical furniture of science. Other things are observables in principle (asteroids colliding with planets), but yet more are unobservable in principle (electrons, strings). As I said, she will extend it to any hypothesis that contains unobservables. Because the latter are, ahem, observable! While the former are by definition theoretical entities. I am not sure I can explain it any better than this, I'm afraid. I got that you were describing the antirealist position, but I was asking for clarification about that position. So, based on the above, it seems to me that the antirealist in question is now saying what I labeled 'i', namely that there aren't sufficient grounds to conclude that electrons exist. Further, you say that the anti-realist says it's because they're unobservable. If I understand your position correctly, I would say that that does not seem to have any relation to the issue of whether the theory is underdetermined by the data. It's underdetermined by the data in every case in which we talk about any concreta other than ourselves (at the very least). There is a burden because they're making the claim that due to underdetermination of theory by the data, we shouldn't conclude that what they call 'unobservables' exist, whereas they also hold that underdetermination of theory by the data does not have that epistemic result when it comes to what they call 'observables'. While the categories remain vague at best, they would still have the burden of explaining that difference even if they clarified what those categories are. To put it in a different way, I would ask: why should one even suspect that whether the theory is underdetermined by the data causes any problems in the case of the category 'unobservables'? (whatever that category is). Based on what you're saying below (e.g., that viruses are now observables, and planets colliding with asteroids, etc., are potentially observable, but electrons are in principle non-observables), it seems that the question is not whether we've observed something, but whether we can actually see it, even if by means of a microscope or telescope, or whether we could see it if we had a microscope or telescope. That gives me a clue (though it's still vague) about what the categorization might be, but still does nothing to meet the burden of explaining why underdetermination of theory by the data would defeat or even undermine realism with regard to what they call 'unobservables', but not with regard to what they call 'observables'. In other words, the problem with the argument from underdetermination of theory by the data does not depend on whether there is a coherent observable/non-observable categorization, or if it is, even on whether the antirealist has different, good arguments that support skepticism about the existence of non-observables. That aside (but it's a different matter), it seems that the claim in question (i.e., about non-observables) is also problematic, and does not even seem to match what the antirealists in question believe (e.g., they seem to attribute mental states to others, and those are unobservables assuming the categorization is coherent), though as I mentioned, it's a problem that's different from the one I was focusing on, namely the problem with the argument from underdetermination of theory by the data. But 2. and 3. are empirically indistinguishable from 1., so my point remains that if whether an option is a 'live' one depends on empirical adequacy, they're as live as 1. If whether an option is 'live' does not depend on that, then my questions would be: on what does it depend, and how is that even related to the issue of underdetermination of the theory by the data? 1. That would not justify the claim that underdetermination of theory by the data is a problem in the case of non-observables. Even if the antirealist had good grounds to reject existential claims about non-observables, there remains no good reason to suspect that such grounds are related to underdetermination of theory by the data. a. Why can't we just have good reasons to think that some unobservable very probably exists, even if the data underdetermines the theory as it does in the case of observables? b. Why can't we have grounds to conclude, beyond a reasonable doubt, that some unobservables exist, even if the data underdetermines the theory as it does in the case of observables? If the antirealist said that we have good reasons to trust our eyes or something like that, but didn't make any claims about underdetermination of theory by the data, they would be in somewhat better shape to defend their claims against electrons (not in good shape in my view, but at least somewhat better), but the 'underdetermination' argument seems to undermine their own position, for the reasons I've been giving. 2. Leaving aside the issue addressed in 1. (namely, the fact that that does not justify the claim that underdetermination of theory by the data is a problem in the case of unobservables but not observables), it seems pretty clear to me that we can make attributions of belief, intent, and mental states such as pain beyond a reasonable doubt and even if we can't see them. But let's say that we leave minds aside. Even then, why would we not be able to tell, beyond a reasonable doubt, that there is a supermassive black hole at the center of the Milky Way? Just because we can't see it? 1. Minds. That includes – for instance – belief that some entity is in pain, or has some desire, intent, etc. 7. Generally, EM radiation that is not visible to the human eye. 8. Bird-colors (e.g., some object are the same human color, but not the same Z-color, for other species Z). A claim that human eyes are the standard for observations that properly allow realism ought to be defended, just as the claim about underdetermination of the theory by the data (though as I pointed out before, those are different issues and require different defenses). What do you mean by 'theoretical entities'? While you say 'because', that does not appear to me to explain why underdetermination of the theory by the data would undermine or defeat realism in the case of non-observables, but would have no effect in the case of observables. By the way, if by 'theoretical entities', you mean that they're posited by a theory, sure. The same goes for, say, a planet that hit the Earth billions of years ago. The fact that a human with a normal visual system would have perceived the planet in question if she had been there looking (which she wasn't), but wouldn't see the supermassive black hole at the center of the Milky Way, does not appear to be in any way related to the issue of whether underdetermination of the theory by the data prevents making warranted claims of existence of such objects. In fact, personally I would say that the evidence for the supermassive black hole in question is at least as good as the evidence for the planetary impact in question. Ditto to that. I've been doing my best, but apparently, it seems we've been going in circles for a while, for the most part, and with some limited exceptions. That said, this exchange has been a lot friendlier than internet debates usually are, so thank you for that. especially chapters 4,6,7 and 8. No problem, that's understandable; btw, time was beginning to be an issue for me as well. Thanks for trying to explain the antirealist position, anyway. Also, and just to clarify, I get that you don't consider yourself an antirealist. I wasn't suggesting that you were one, btw. Rather, I was trying to explain some of the problems I see in the argument from underdetermination (as an argument for scientific antirealism) as best as I could too, and later – though in lesser detail – some of the problems in the argument based on the 'observable/non-observable' distinction. Also, thanks for the links (btw, I read the SEP articles, though I don't think any point made in them undermines the points I made above), and generally for the discussion. Really? Dawkins said that? That's strange, he is one of the people who have helped change and adapt darwinian theory. But, If he said what you say he said, he is clearly wrong.